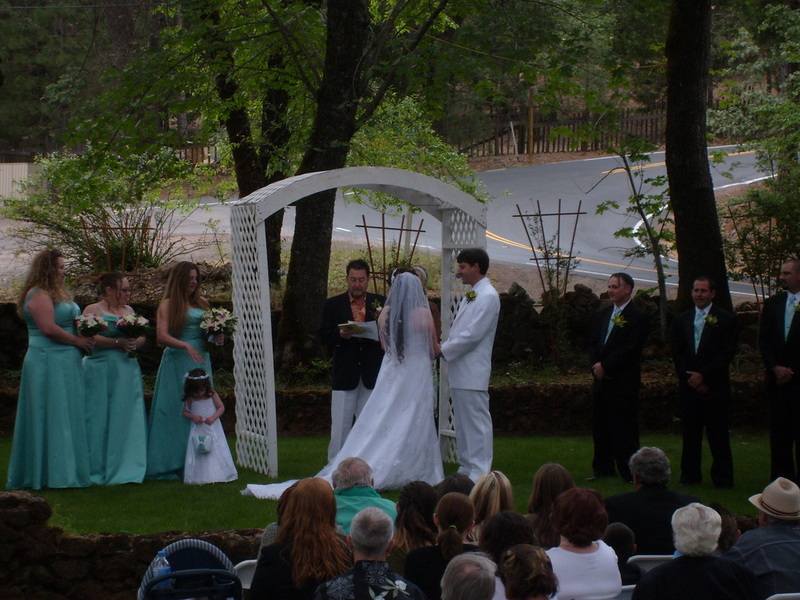 Serving All of Mendocino, Lake and Sonoma Counties! 17 years of professional experience and over 300 weddings to date! Our goal is to help make your wedding day perfect! Our expertise and knowledge of wedding events can help guide you through your wedding day, from helping you plan your events to setting them up. 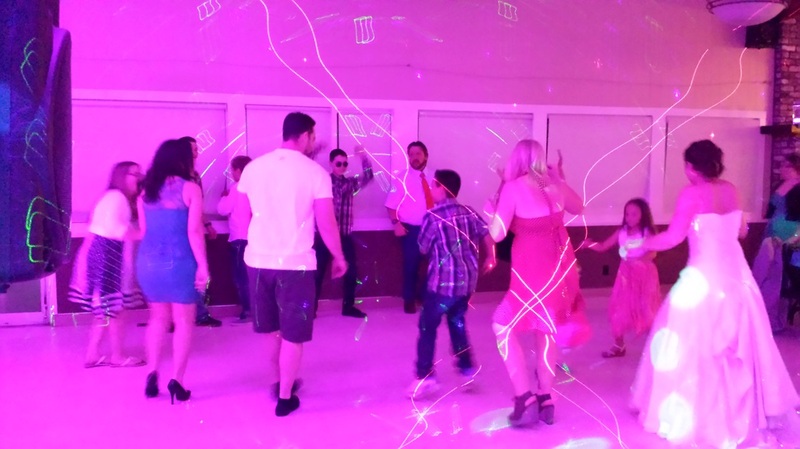 We will help keep your events on time as scheduled and flawless! HERE ARE JUST A FEW THINGS WE OFFER FOR YOUR WEDDING! HAND HELD WIRELESS FOR CEREMONY. 200 + YARD REACH! 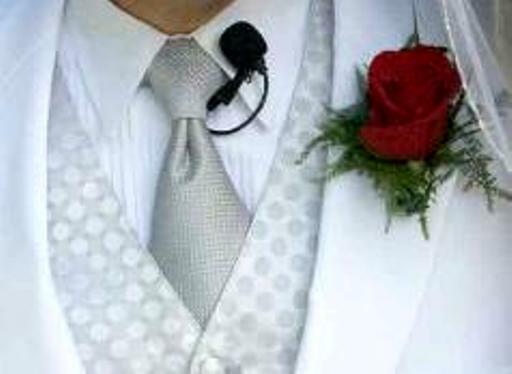 (OR) WIRELESS LAPEL MIC'S FOR CEREMONY. 200 + YARD REACH! 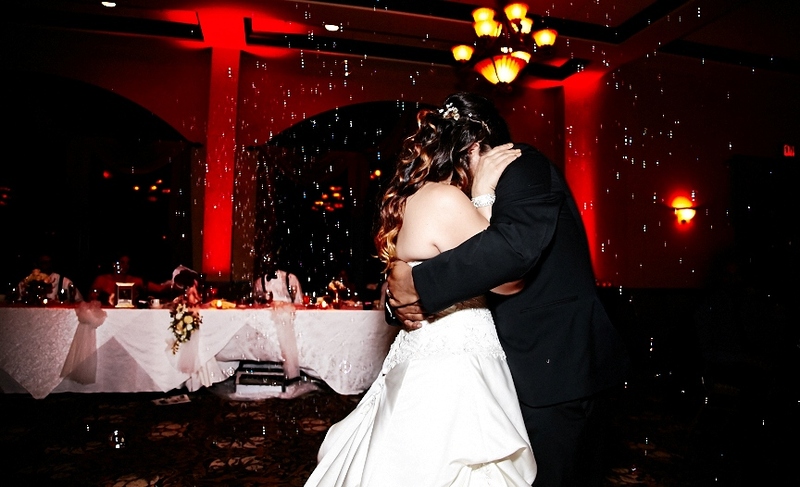 LIGHTING EFFECTS & LOW LYING FOG FOR YOUR 1ST DANCE! "LOW LYING FOG FOR INDOOR EVENTS ONLY"
hassle of having to move any equipment disturbing your guest. We will show up early to insure that all of our equipment is up and running before your guests arrive. We will dress in a tie and vest. No T-shirts, shorts or ball caps. We offer a wide range in seating music from tradition Italian instrumentals, to acoustic instrumentals and symphonic to jazz, big band and swing. We offer a wide variety in traditional ceremony music. Recessional Mendelssohn's Wedding March (After announced as Husband & wife). we are more than happy to accommodate your request! We have a huge variety of background music for your dinner. Acoustic & Live Performances of popular new music to to your favorite classics. We also offer traditional Italian Instrumentals and everything in between. (1st dance) bride & groom, (2nd dance) father- daughter, (3rd dance) mother - son and the cake cutting. We will have a detailed list of what time, who will be dancing and what to play. your taste yet bringing a wide variety in music to help make all of your guest happy! Top 40, Rap, Hip Hop, R&B, Soul, Funk, Disco, Classic Rock, Country, Oldies to Big Band & Swing! We are more then happy to take request from your guest if you choose to have request! We will make all of your announcements for you! 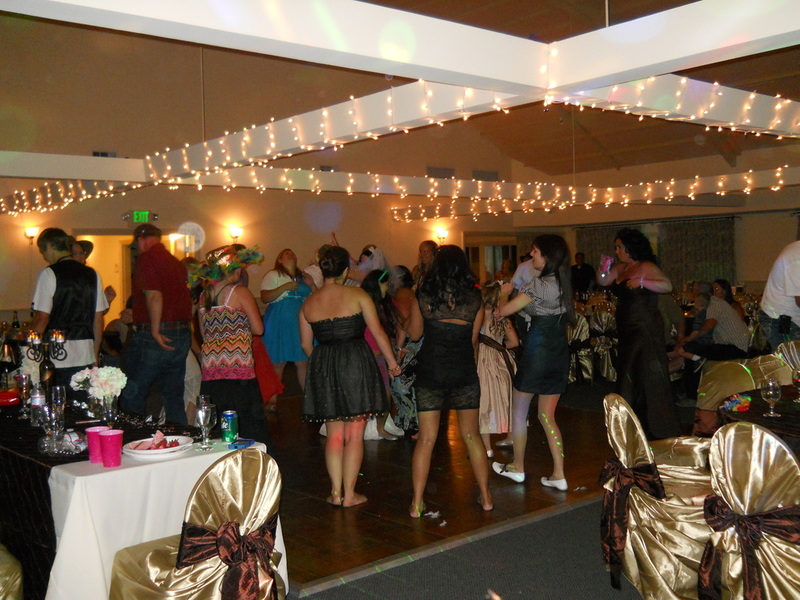 2nd dance, 3rd dance, money dance, the cake cutting, special games too helping get your guest on the dance floor! 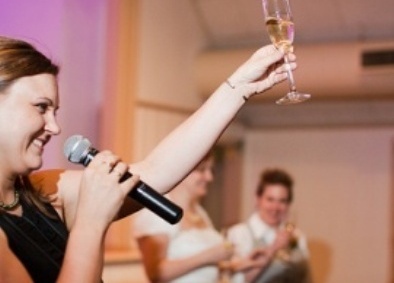 Hand held (Sure) wireless microphone for toast and speeches. Hand held (Sure) wired microphones. Professional 3,000 Watt QVC power amps. Pair of 2 way 15' JBL Mains. Pair of 18" JBL Sub woofers. Mice stands and lighting truss. 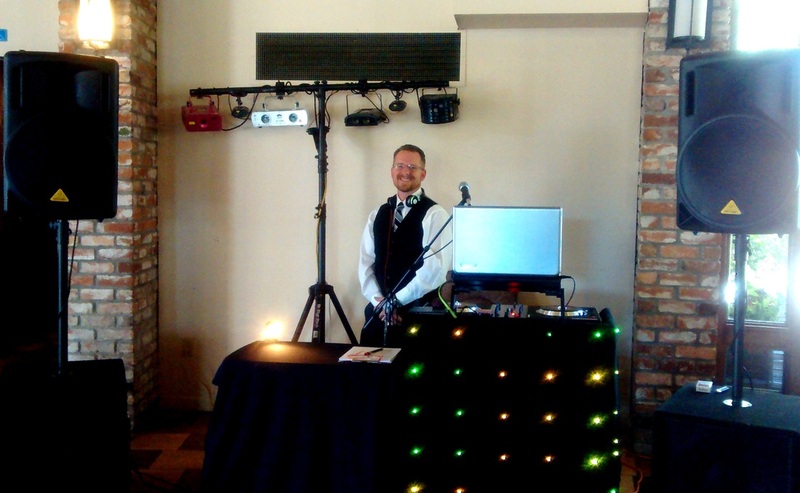 Portable DJ booth with lights. 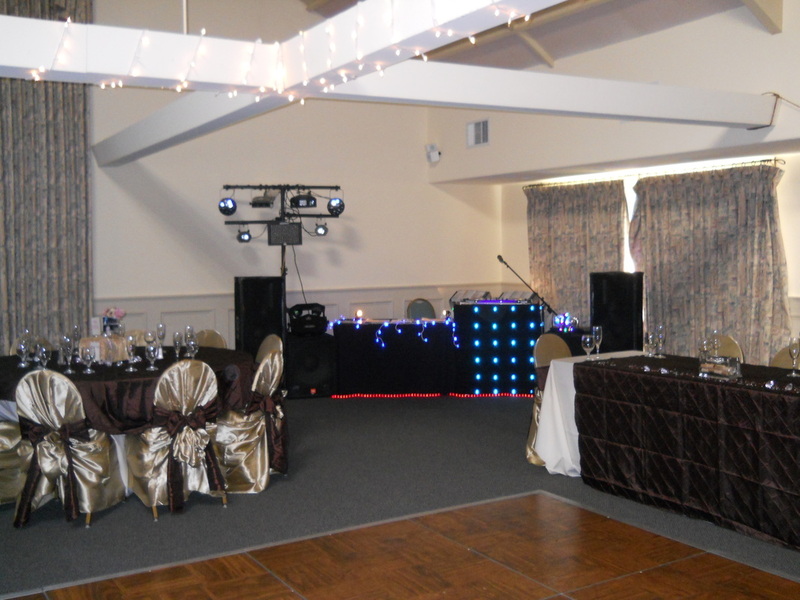 No need to reserve an extra table, chair or table drape for the DJ! All of our equipment is professional top brand audio! for larger crowd's of 100 to 500 guests. Book us and we will send you a detailed questionnaire via email regarding every aspect of your wedding. This form can be done at your convenience up until two weeks prior to your wedding date. All of the mentioned above is included for one low price! 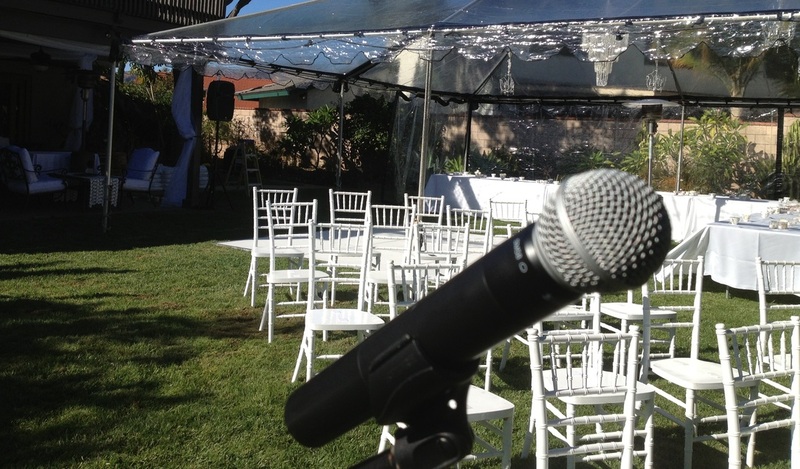 We do not charge extra for the use of our PA system, lighting rig, M.C., set up or break down time. We do not charge a mileage fee within Mendocino, Sonoma or Lake County! We carry back up equipment and are fully licensed. We strive for a high level of excellence at a fair price! CALL, TEXT OR EMAIL TODAY FOR AVAILABILITY & PRICE QUOTE!